My mission, upon leaving the military, is to open my own gym. Here I aim to offer my expertise and guidance through coaching members to their full potential. I aim to offer opportunities for members to get in to competitive sport where they may otherwise not have had the chance or confidence to do so. 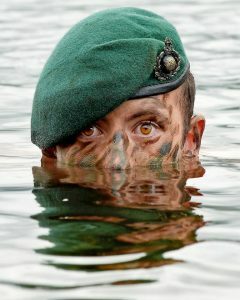 A Royal Marine by profession, an athlete by passion. I joined the Royal Marines at the age of 24, passing out of training as a Physical Training superior. I’ve always had a passion for sport and fitness, but it was through my training in the marines that really taught me the importance of being disciplined, dedicated and determined. I’ve played football for as long as I can remember and this continues through my military career, representing Royal Navy Scotland, 43 Commando and as a qualified level 2 football coach. I later began to find an enjoyment for strength training and this lead me into powerlifting, breaking the Scottish and Royal Navy deadlift record and qualifying for 2017 British Nationals in the 75kg category. At British Nationals I broke the Navy record again and qualified for the World Championships in Antwerp, Belgium. At the World Championships I finished second place and look to qualify next year with the intention of winning. Upon my success at the WC’s I was awarded ‘Northern Region Sports Person of the Year 2017’. My desire for learning and understanding allowed me to further my knowledge of sport and fitness through the undertaking of a degree in Sport, Fitness and Coaching, which I completed March 2017. The skills, knowledge, understanding and passion of sport and fitness has now become a part of my everyday life and it is my aim to pass on what I have learned to others so they can enjoy an active lifestyle as much as I do.